Widmer Engineering Inc. has mapped and located thousands of feet of sewer line and has prepared comprehensive base mapping for our municipal clients. 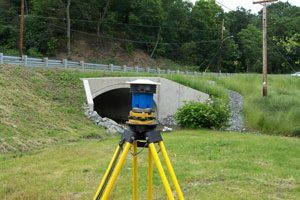 Whether with the use of aerial photogrammetry or through conventional surveying techniques, our staff can provide you with the mapping to meet the DEP requirements. 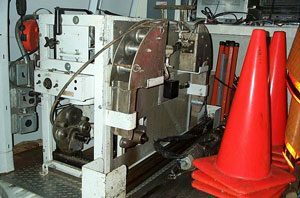 We also have in-house global positioning equipment to place all data on the Pennsylvania State Plane Coordinate System or have it tied to a local coordinate system. 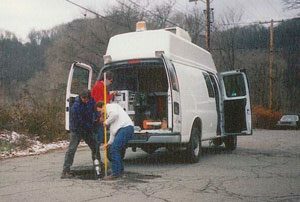 We have special locating equipment to trace the underground positions of our internal sewer inspection camera or through the use of low voltage electricity to trace underground utilities and place them on the base mapping. report is complete with color pictures documenting the sources of inflow and potential sources of infiltration. With the use of internal televising equipment we can correlate the surface evidence to the condition of the pipe underground. With minimal interruption to the traveling public, we can pin point problem areas and save clients’ dollars by not replacing pipe which is not in need of replacement. some municipalities do not own their own flush trucks. If you are in need of flushing services too, we maintain excellent relationships with our subconsultants. They will join our team for your convenience and flushing needs. We do not grout pipe, slip line pipe or sell any product other than our professional services nor do we have any relationship with any vendor or supplier of said remedies.